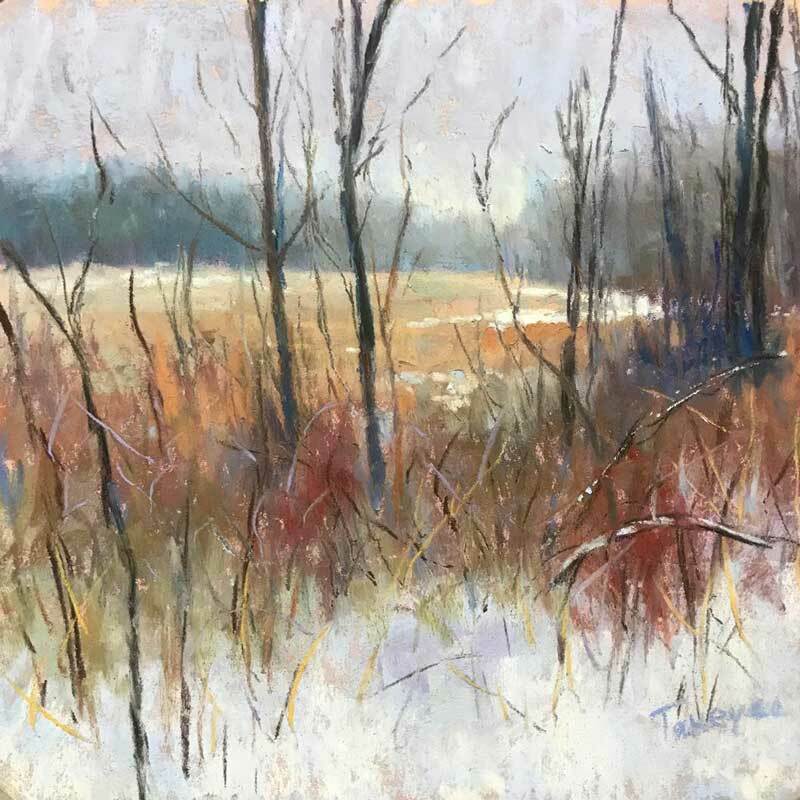 My goal for Creative February 2018 was to create twenty-eight original pastels exclusively on UArt Pastel Paper. 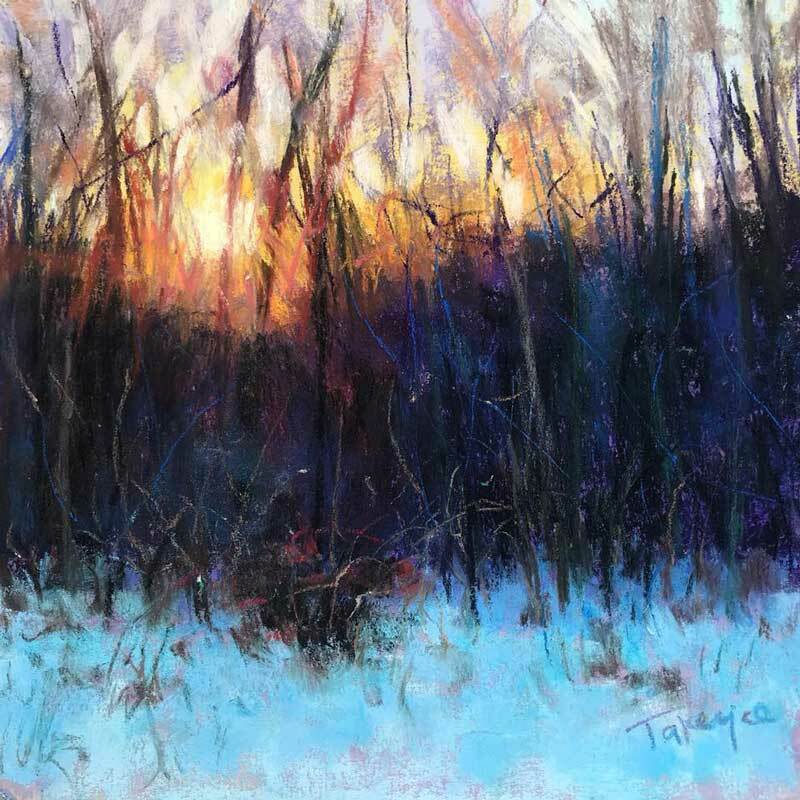 I am happy to say that I was able to meet that goal, and I can now present all twenty-eight pastels completed. 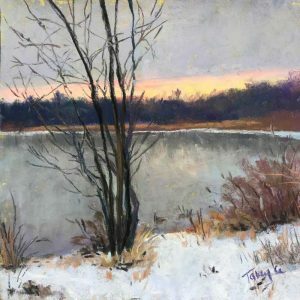 I am tremendously pleased with the collection, and hope you are too. It has been wonderful finding the beauty of winter each day during the month. 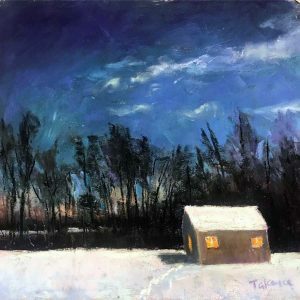 All paintings will be exhibited at my current solo show at the historic Salem Courthouse in Salem, NY. The show runs from 2/23/18 thru 4/4/18, with a reception on Friday, 3/9 from 5 – 8 PM. 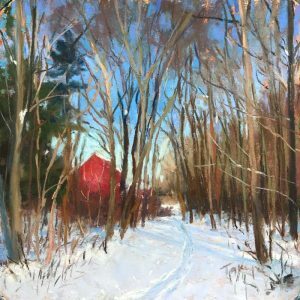 The event is free and open to the public, and sponsored by Jasper Hill Farm. 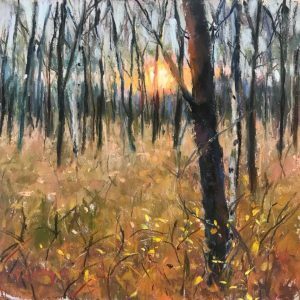 Please stop by to meet them in person – I would love to hear which is your favorite, and why. Hope to see you there! 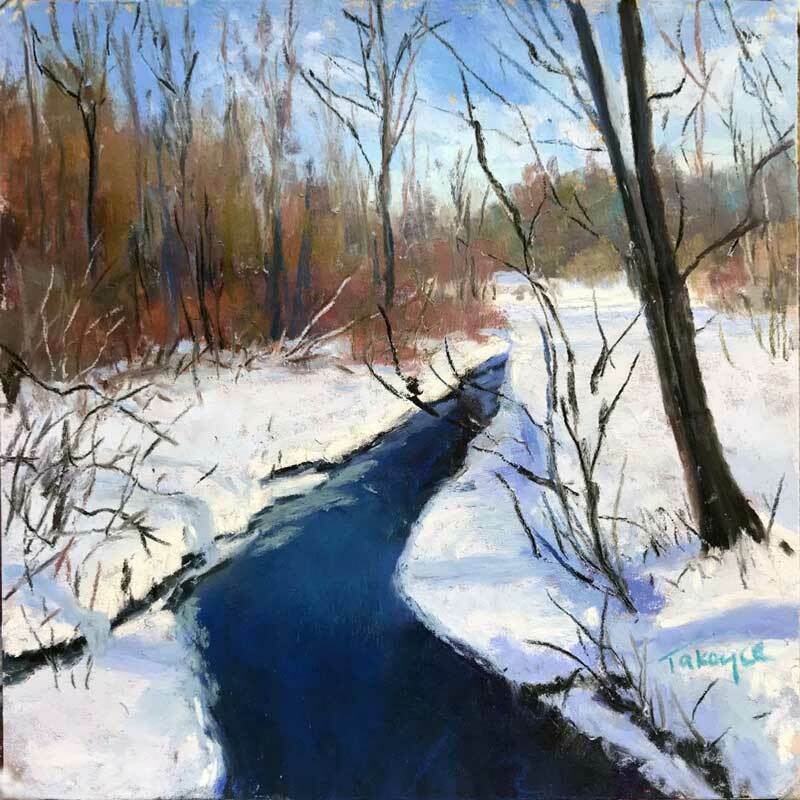 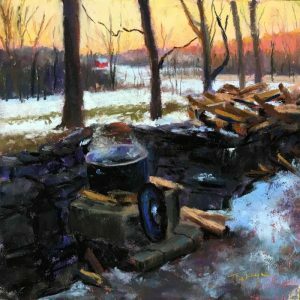 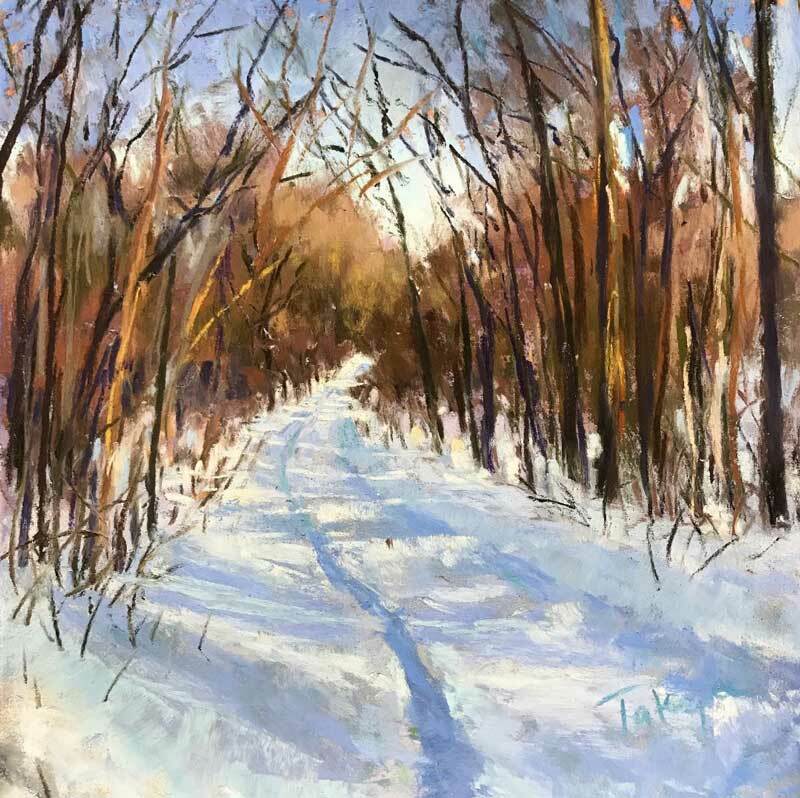 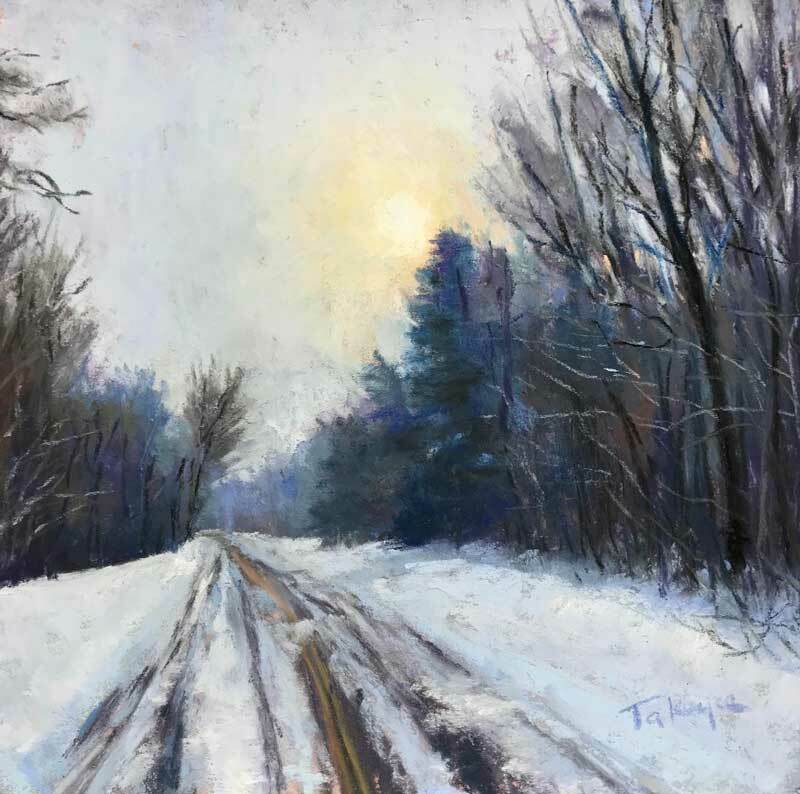 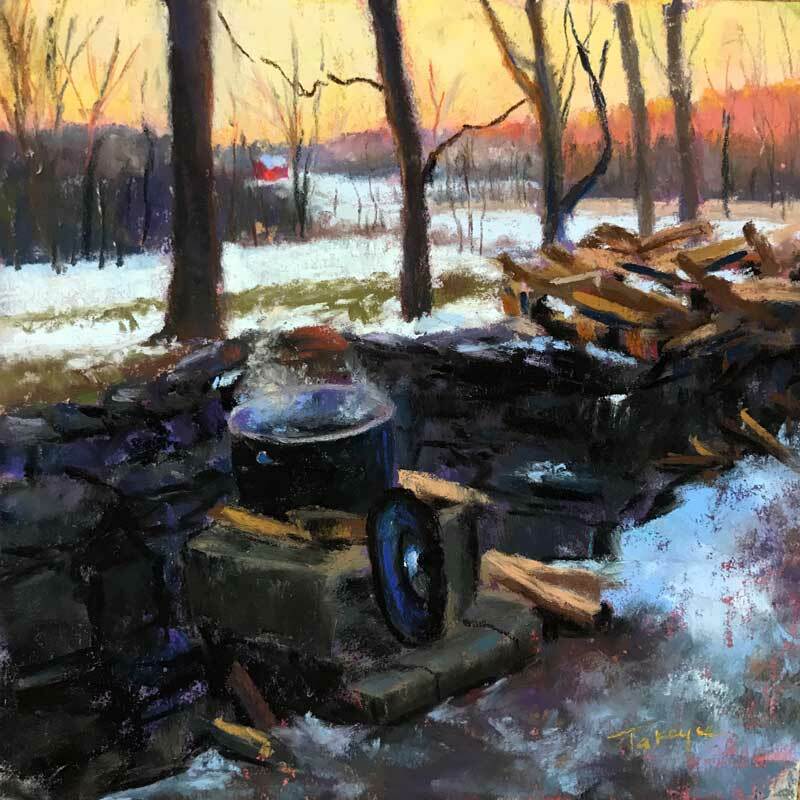 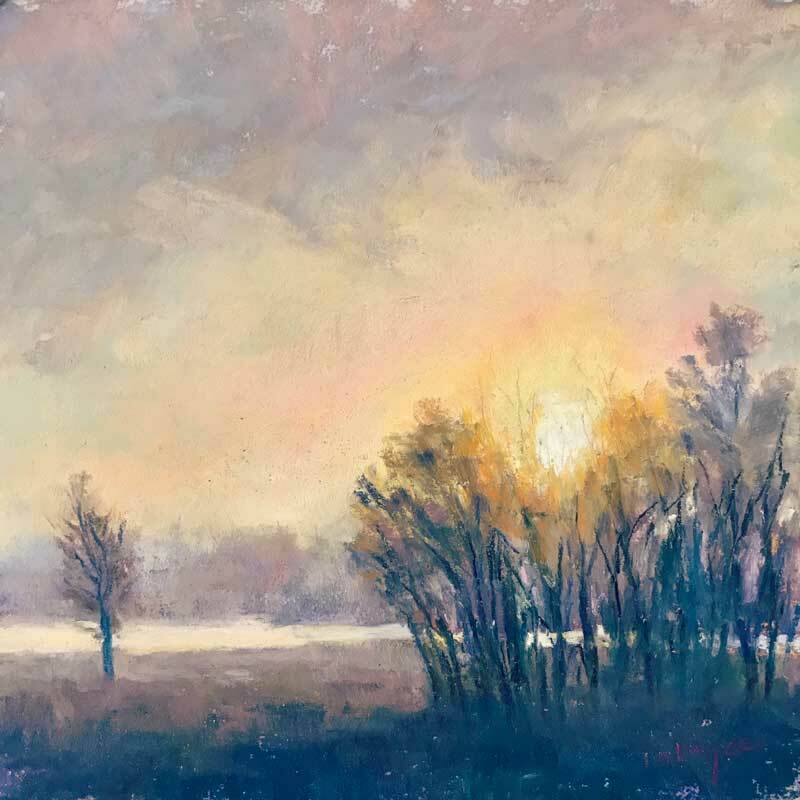 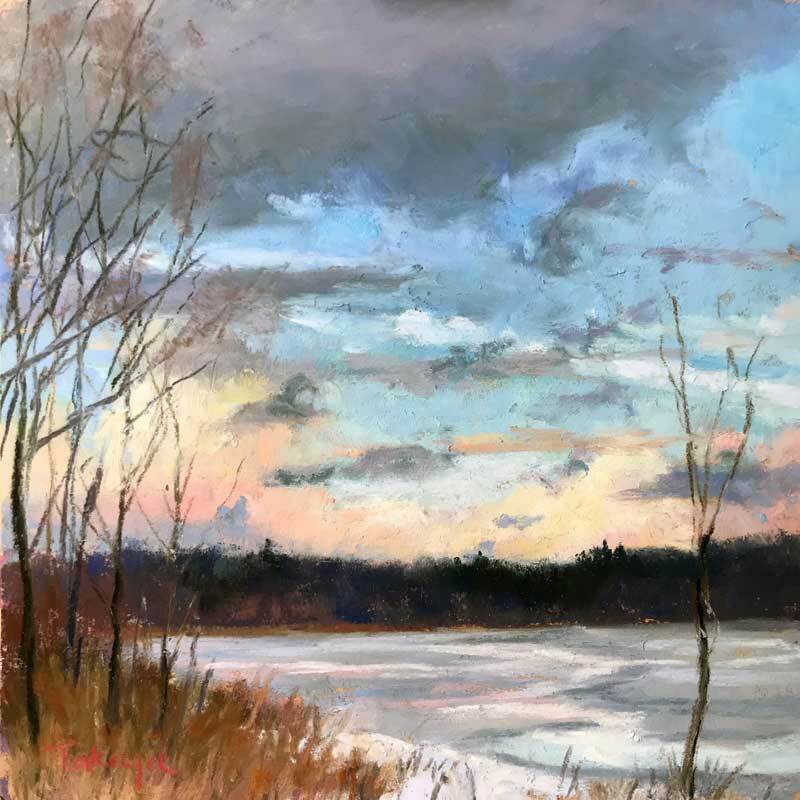 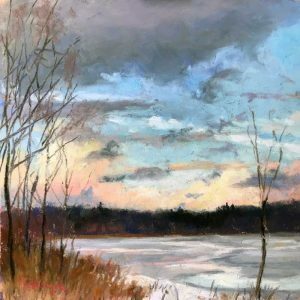 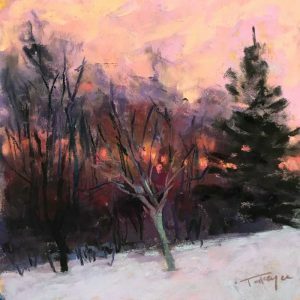 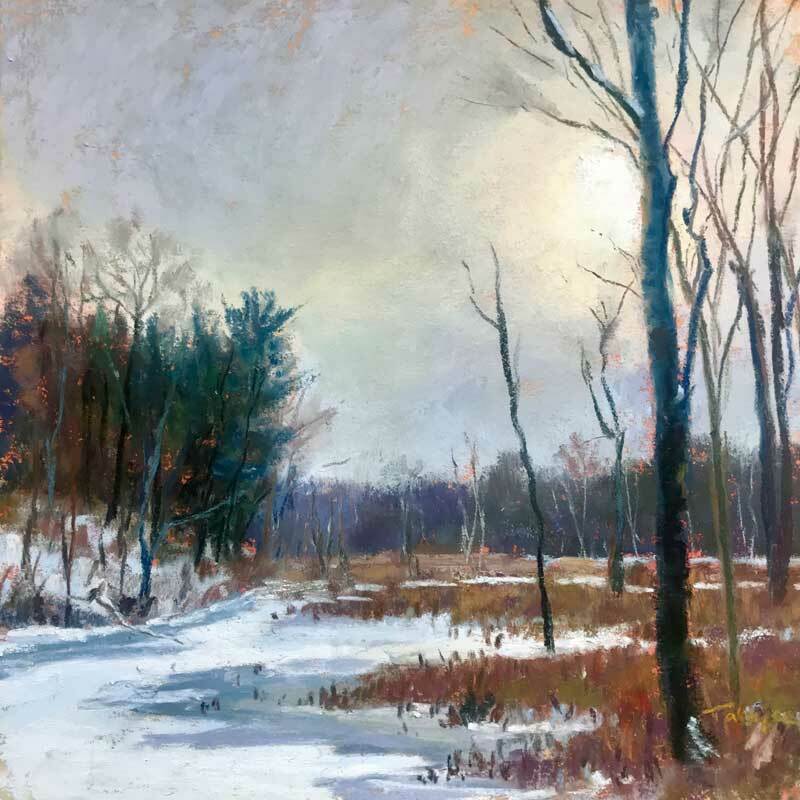 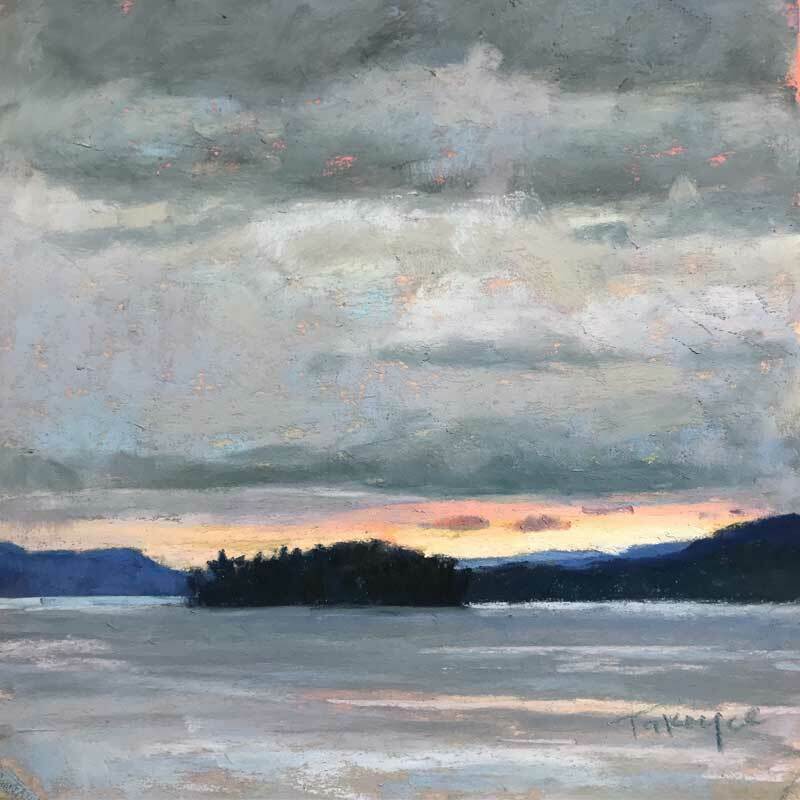 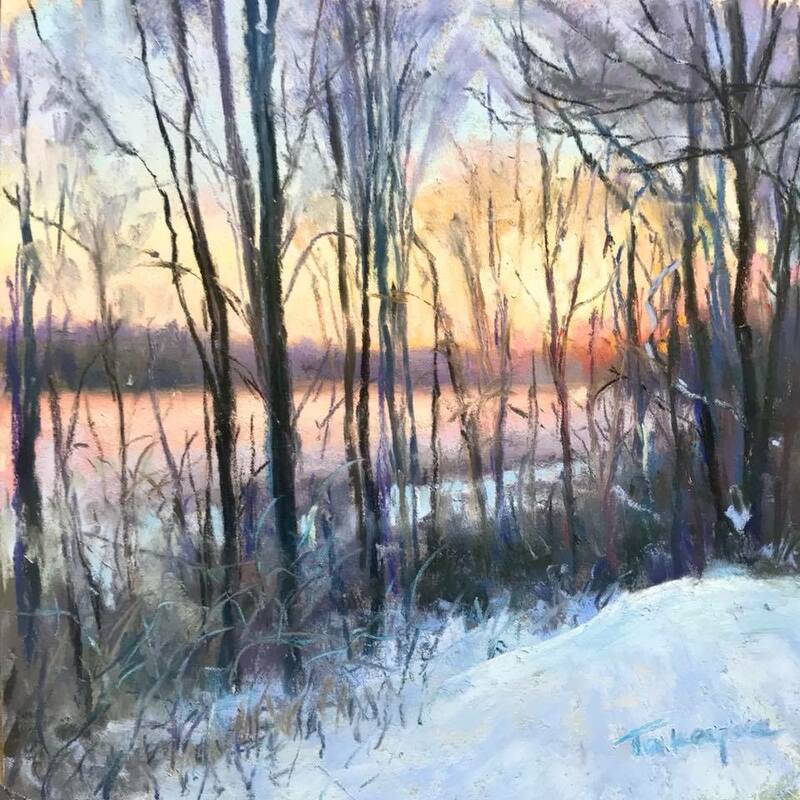 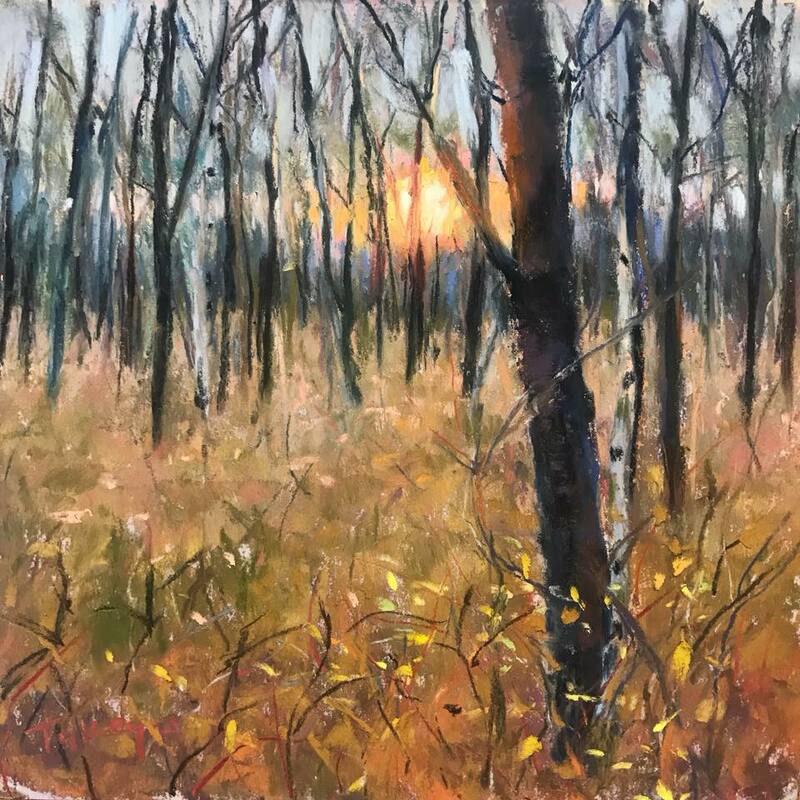 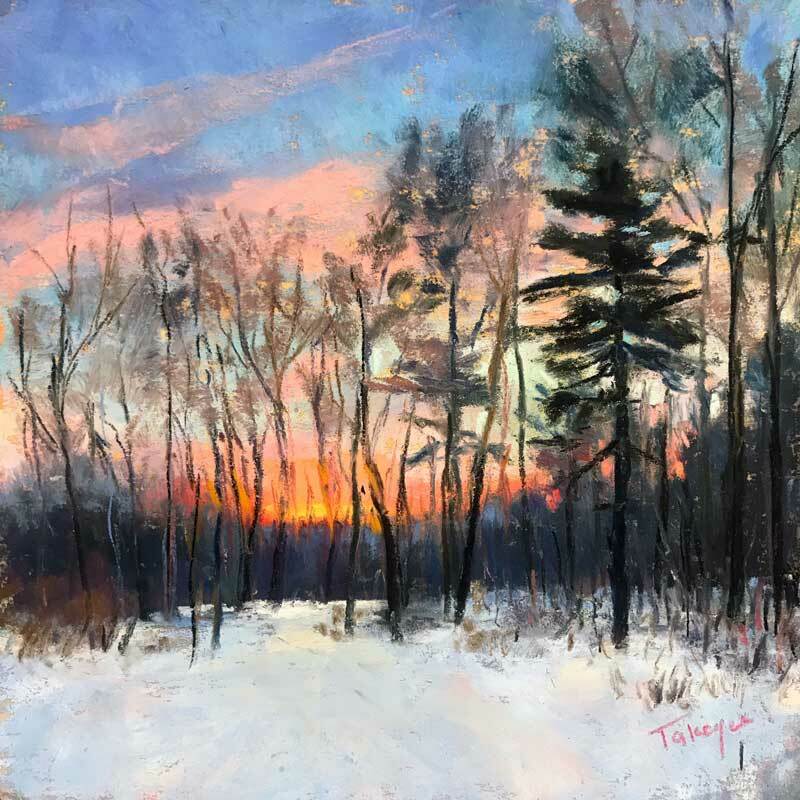 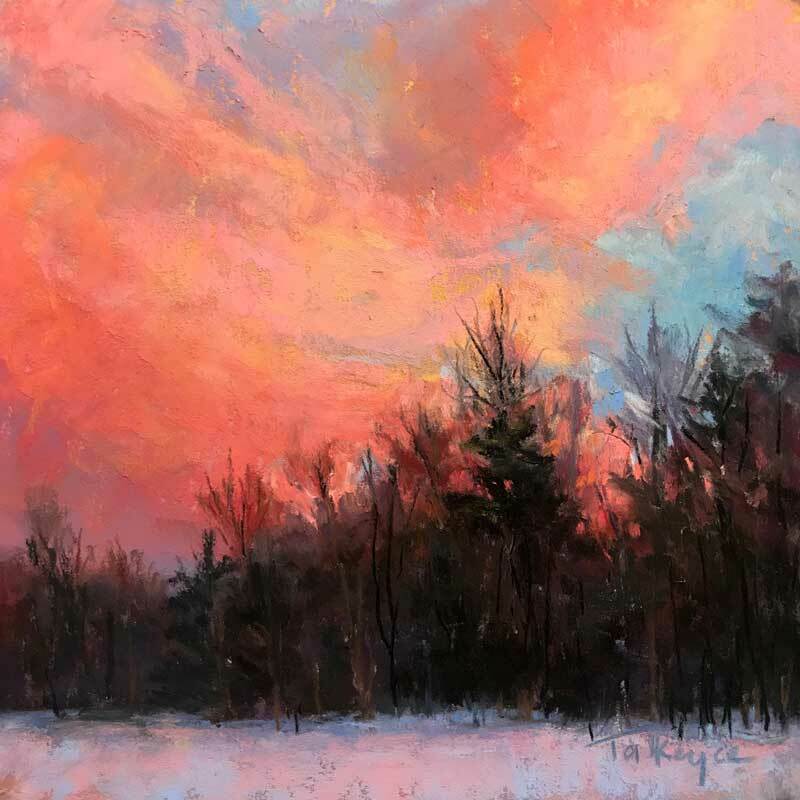 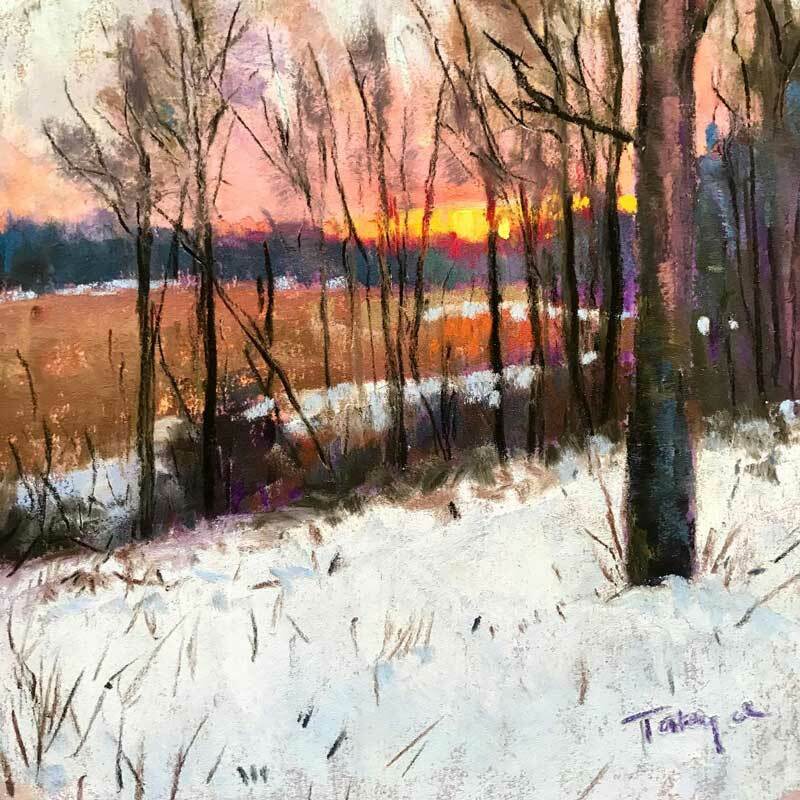 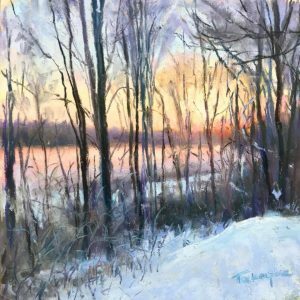 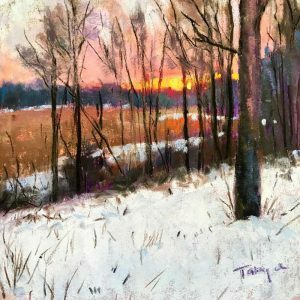 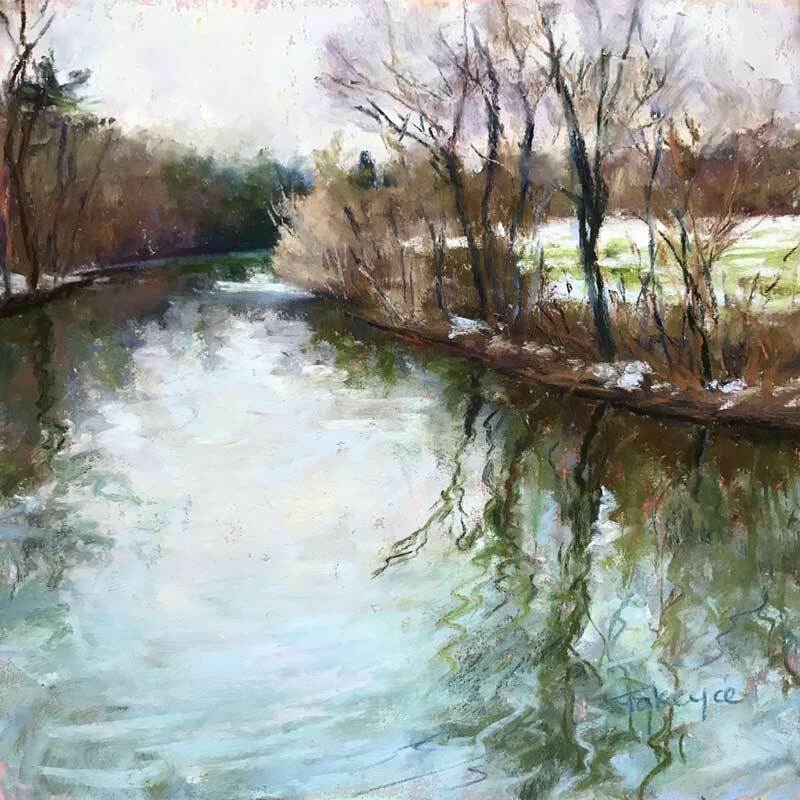 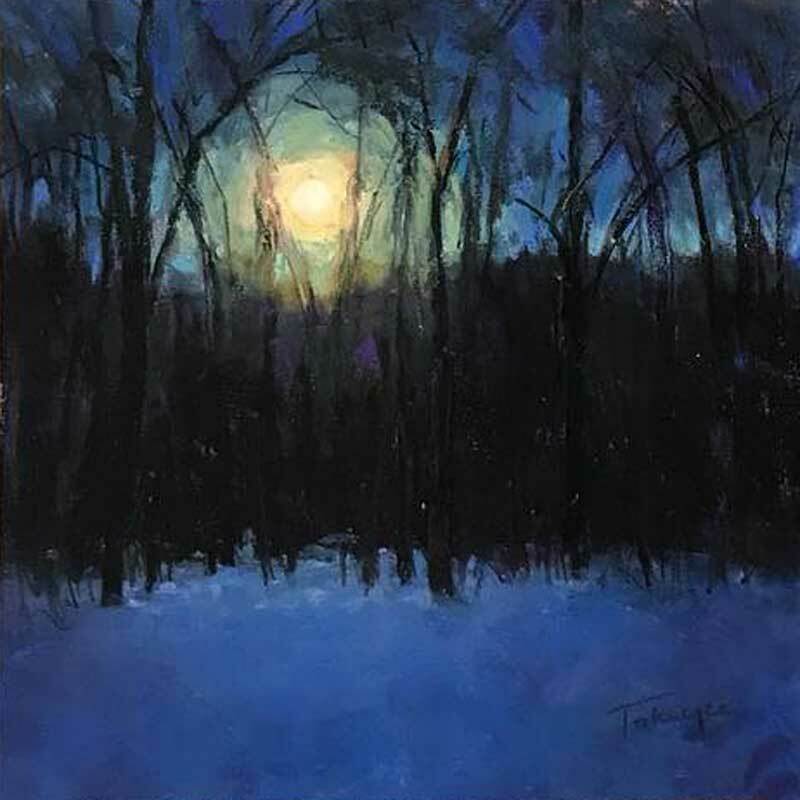 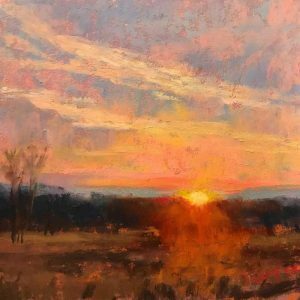 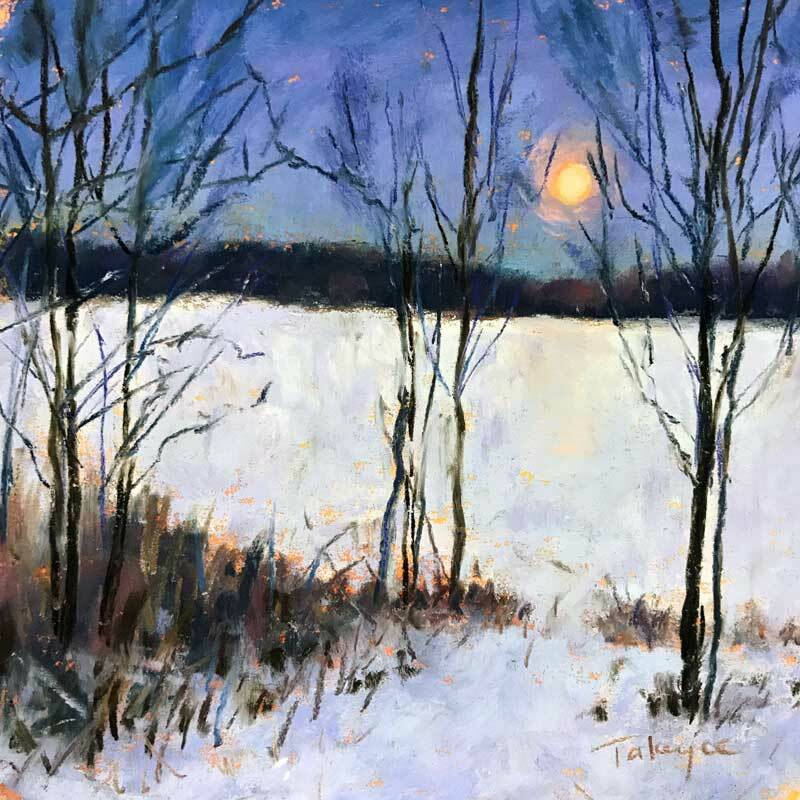 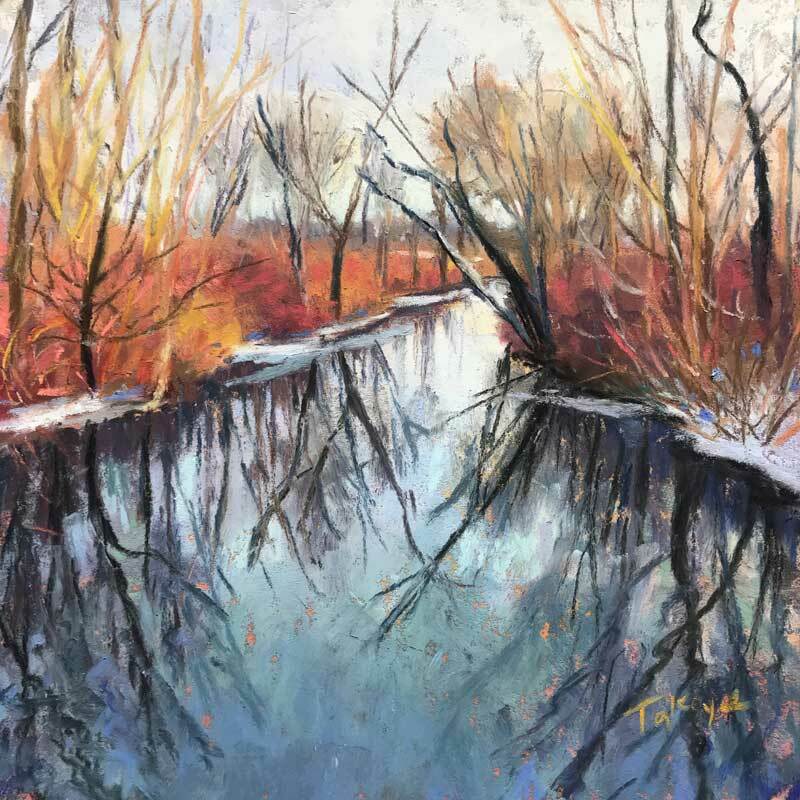 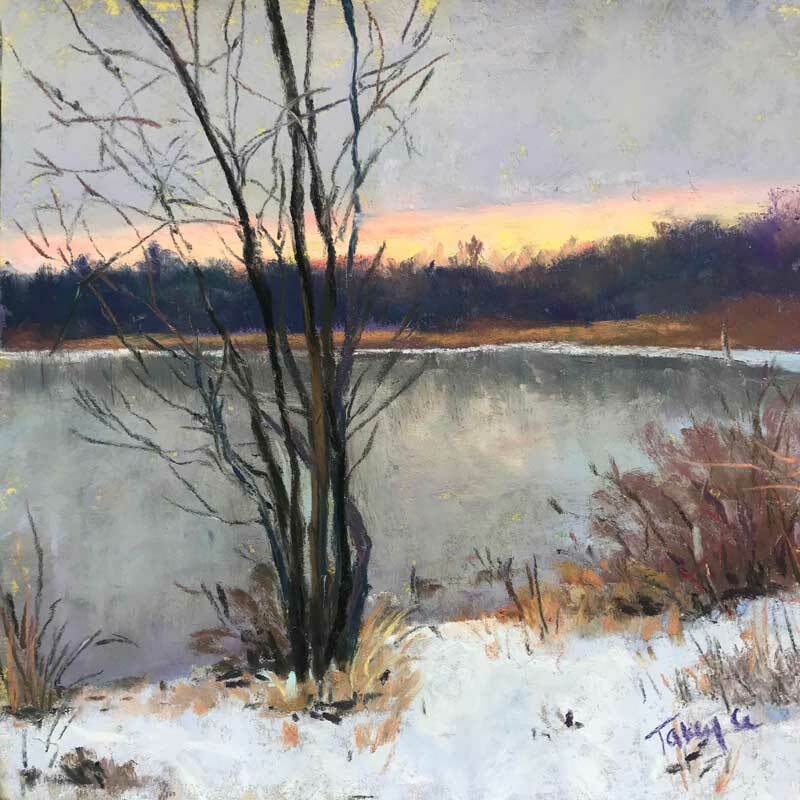 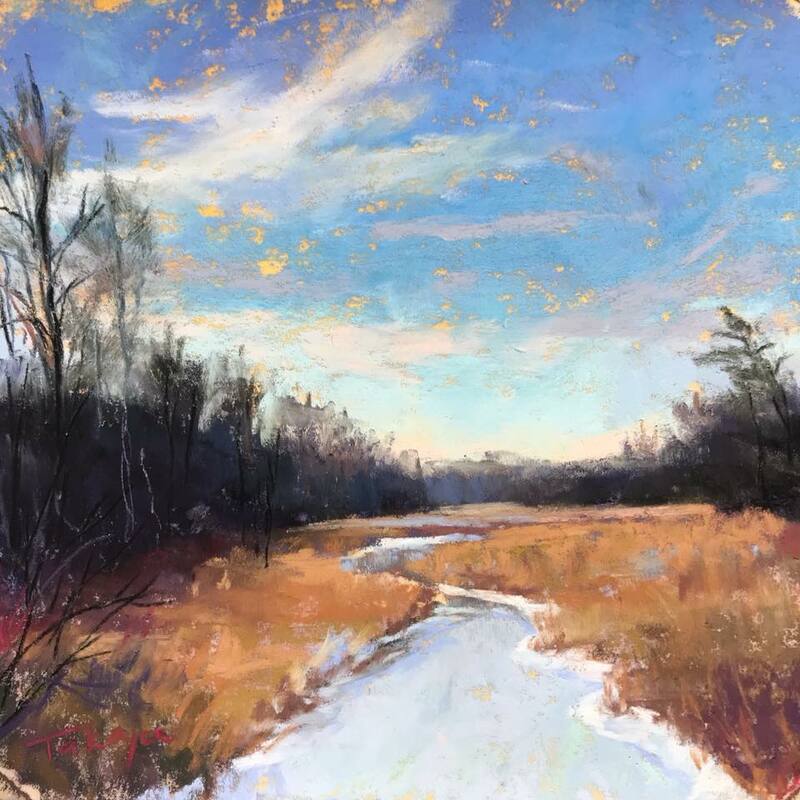 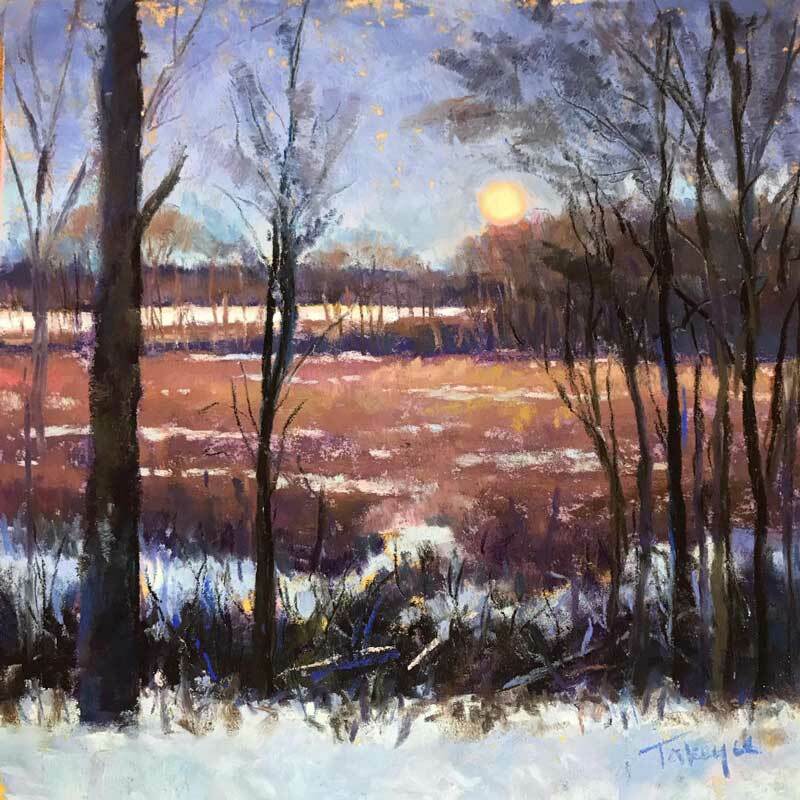 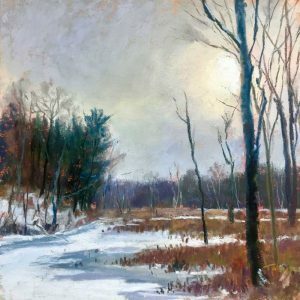 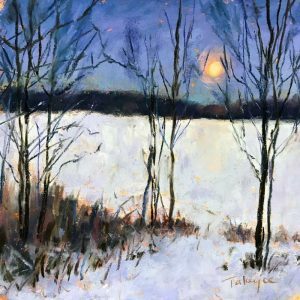 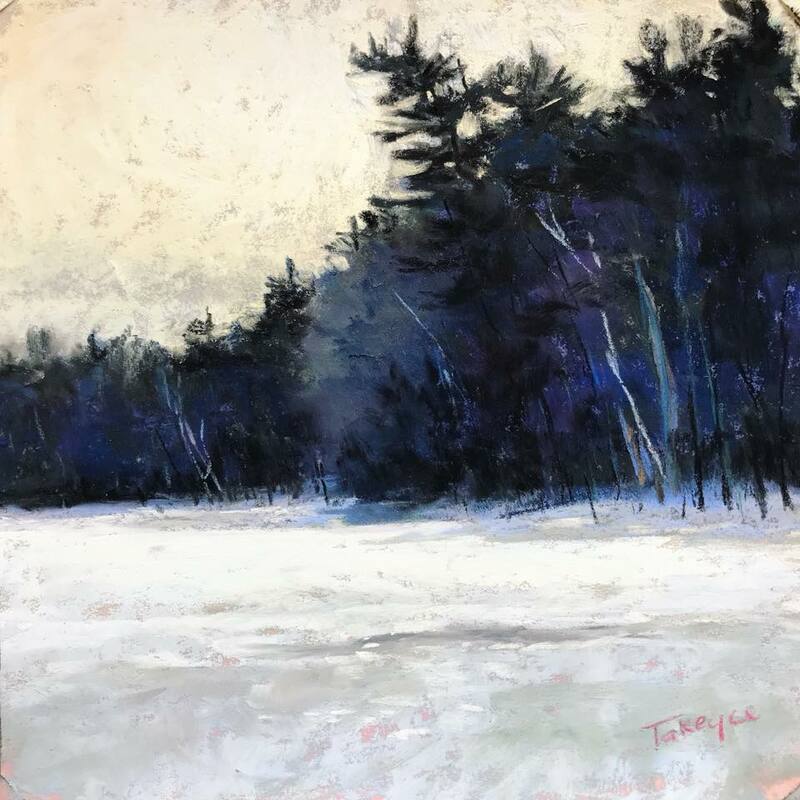 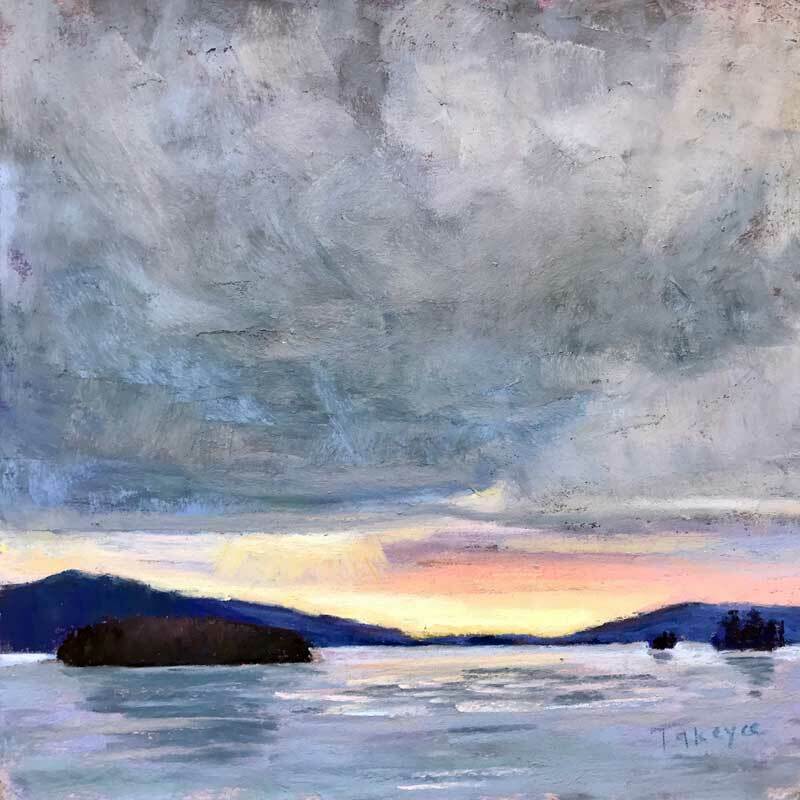 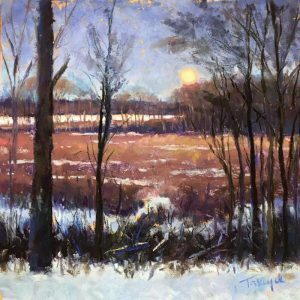 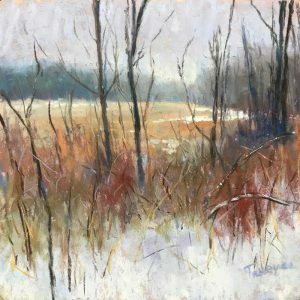 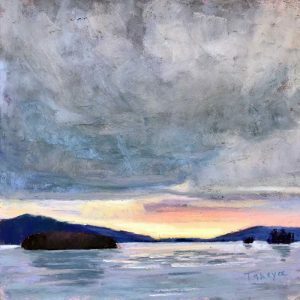 All pastels are 6×6″ in size, and professionally custom framed to approximately 8×8″ to 12×12″, and priced at $300. 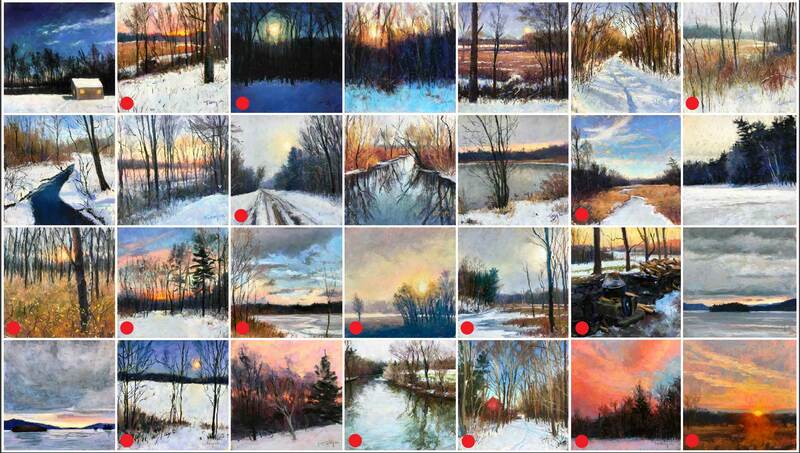 They are listed below in chronological order (left to right) starting with Day 1: “Night Studio” and ending with Day 28: “Finale”. If you’d like to purchase any of these paintings, please email me for availability. 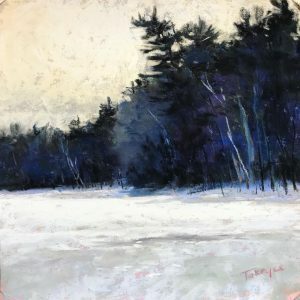 If you’d like to purchase any of these paintings, please email me for availability.